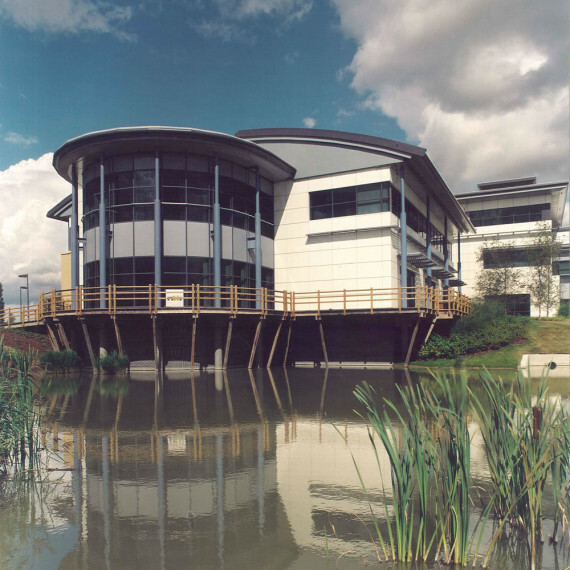 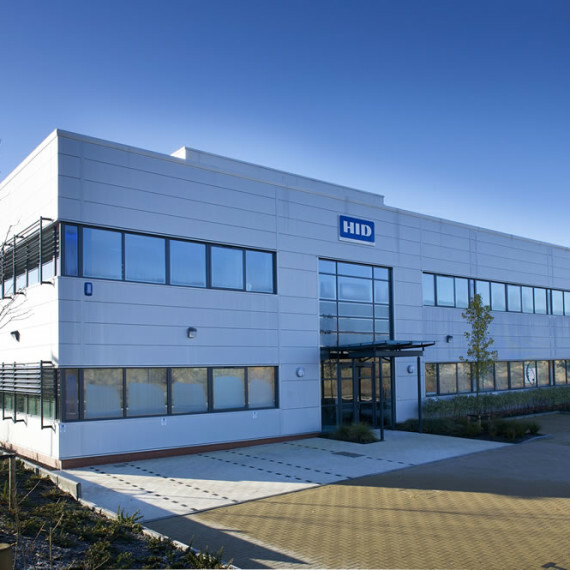 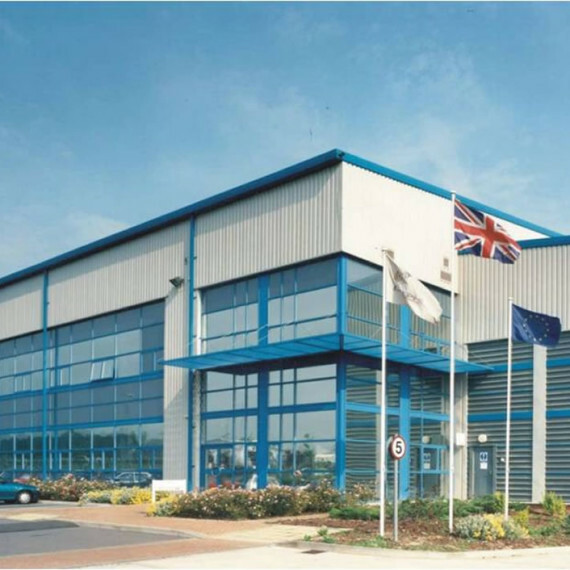 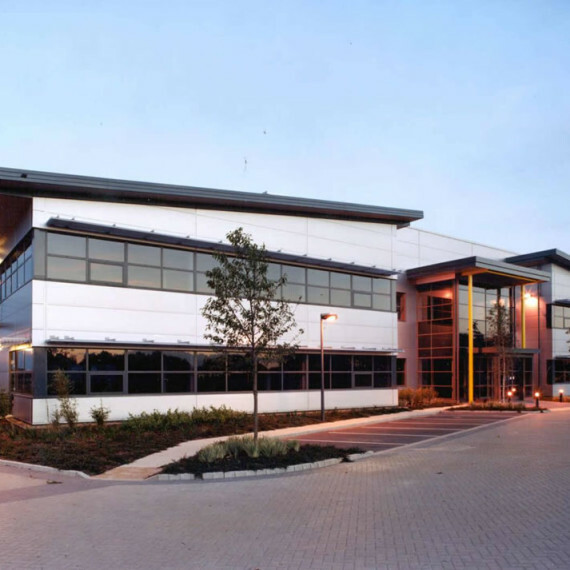 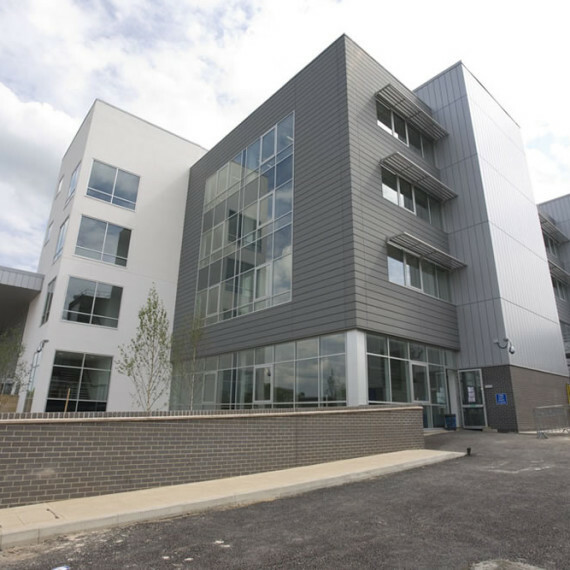 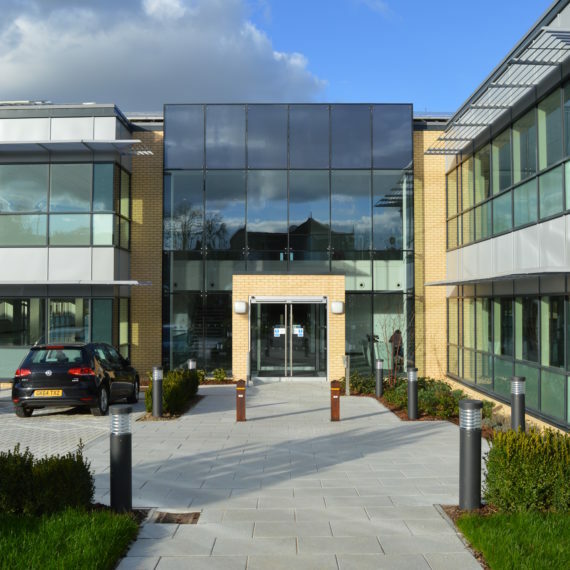 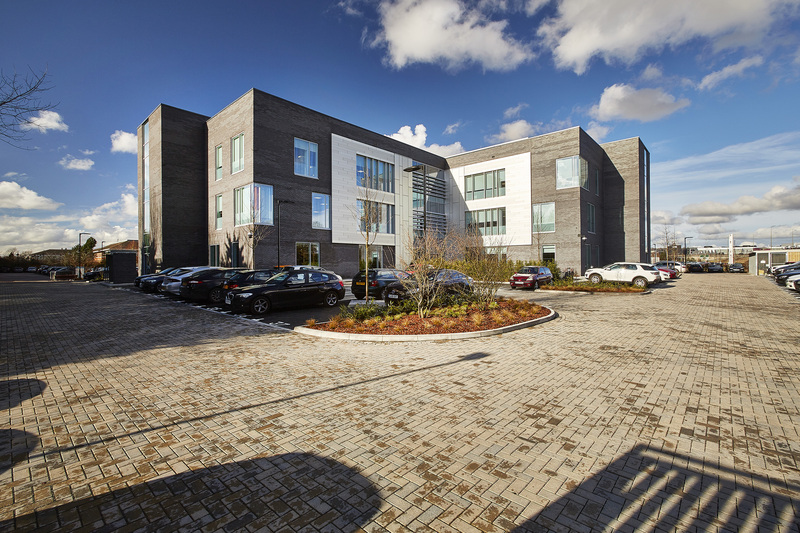 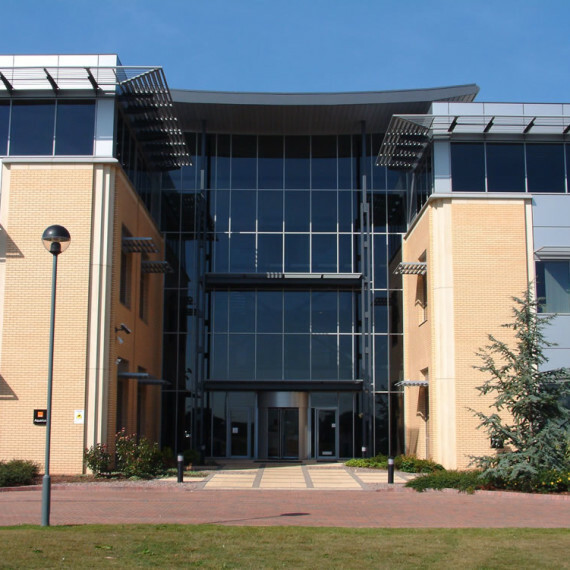 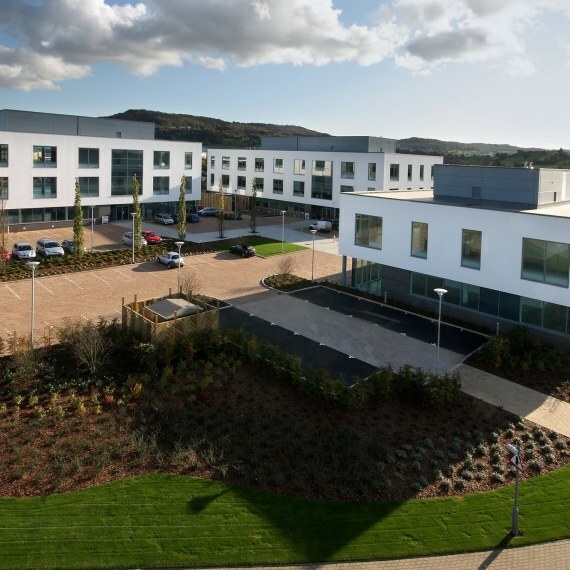 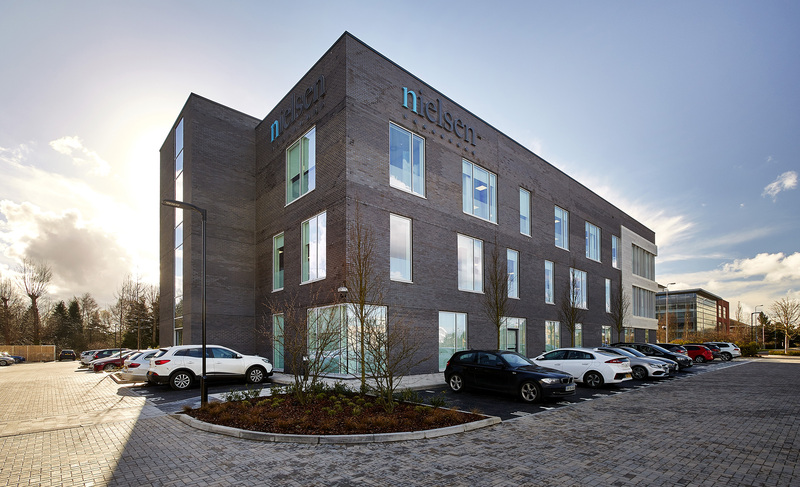 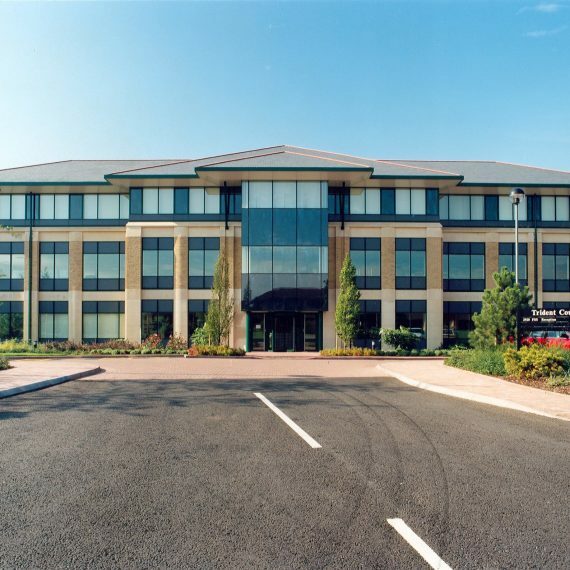 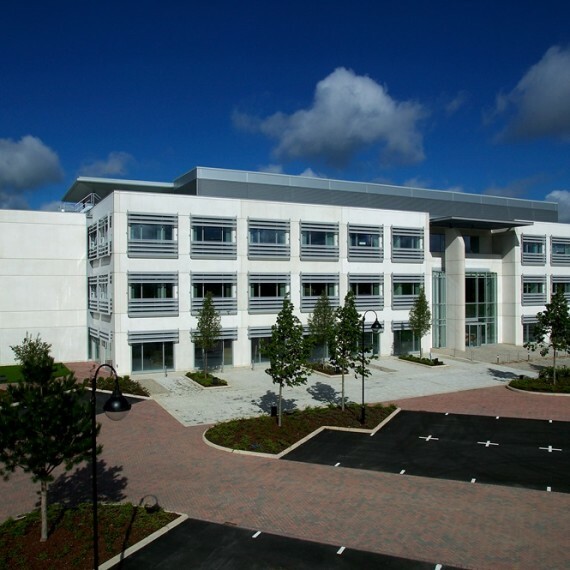 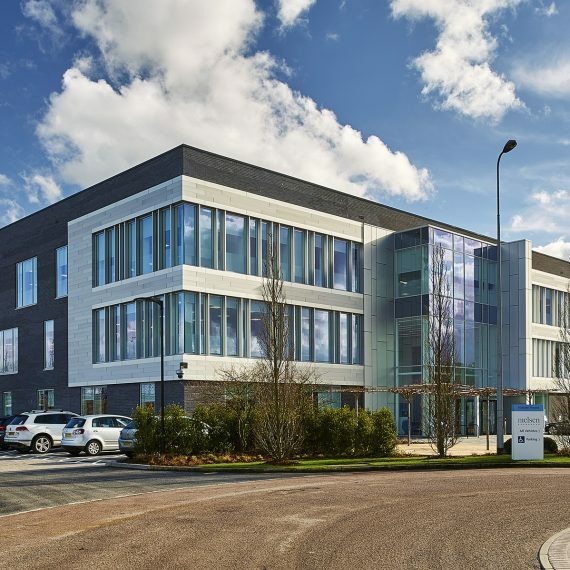 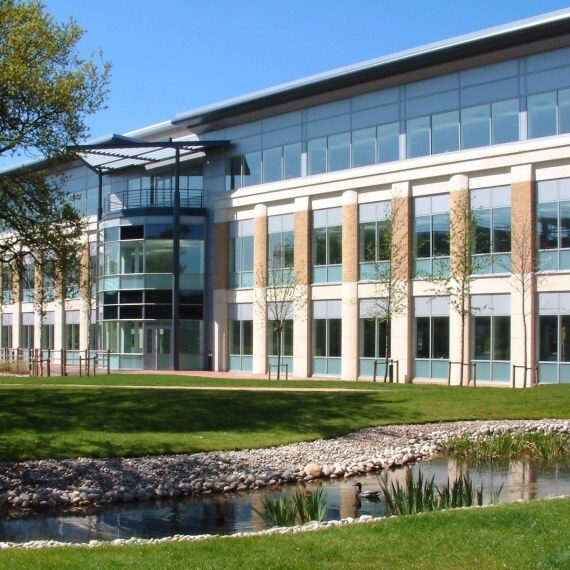 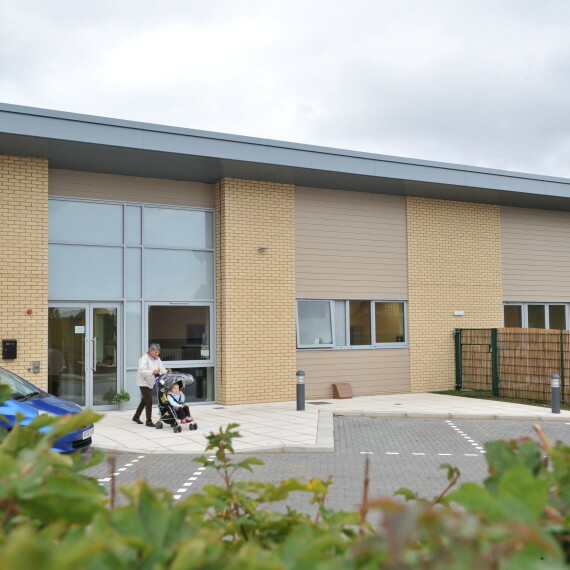 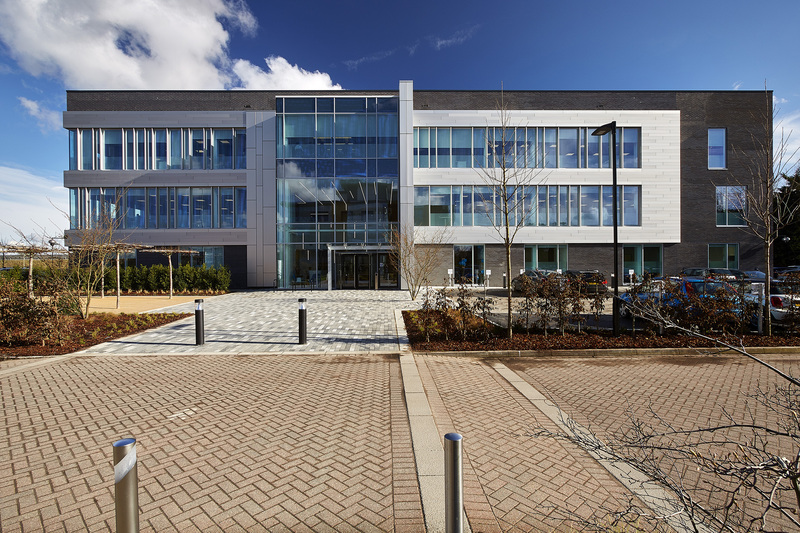 AC Nielsen, a global market research firm, have relocated their UK headquarters to a modern and energy efficient office on Oxford Business Park. 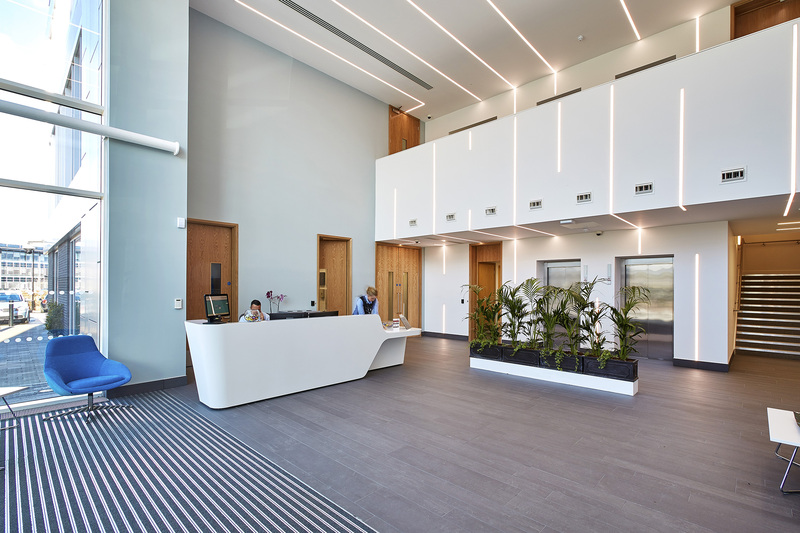 Frank Shaw Associates has designed a creative and collaborative office, providing three storeys of flexible, air-conditioned space. 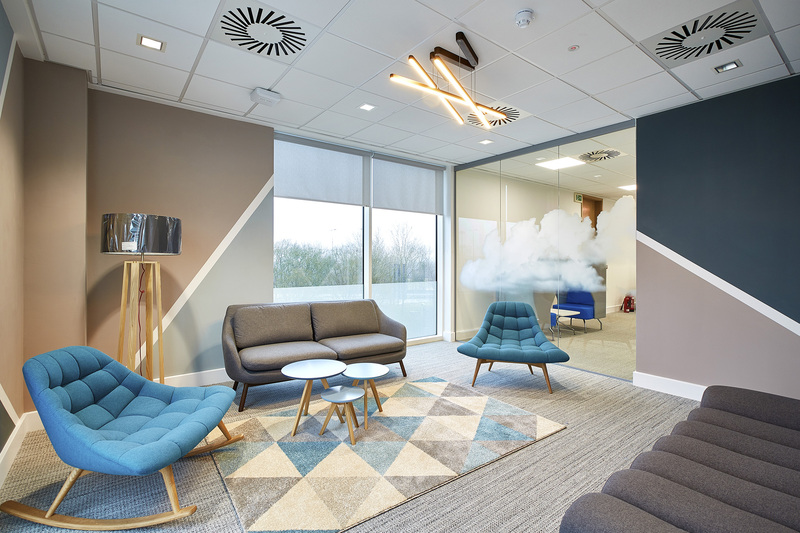 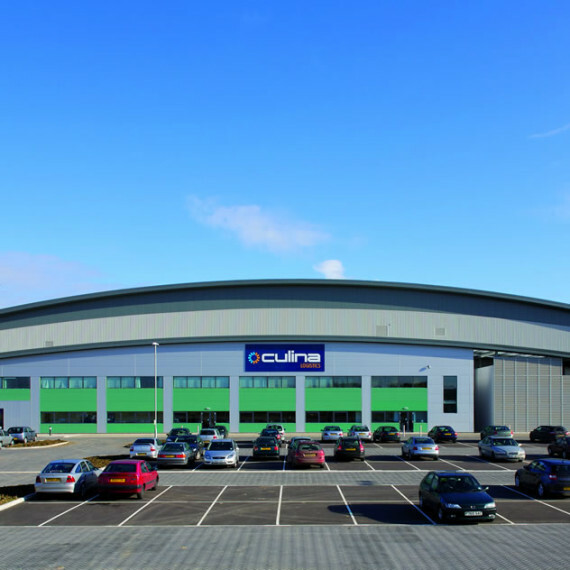 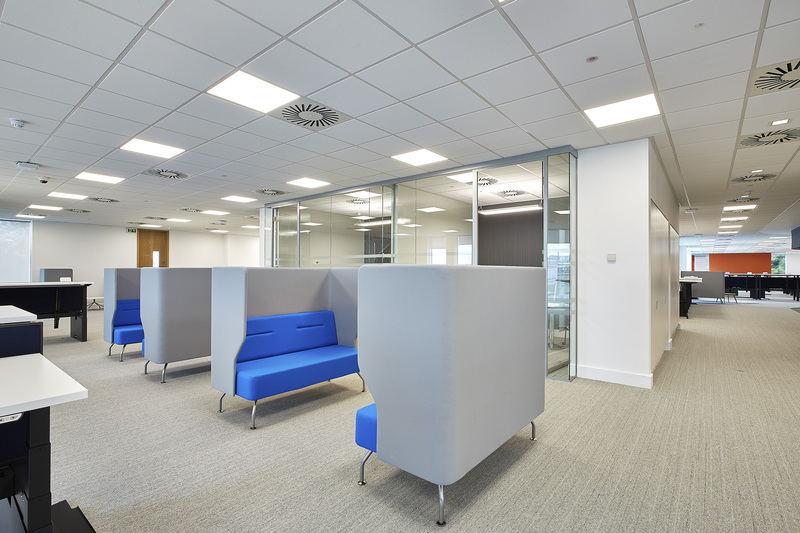 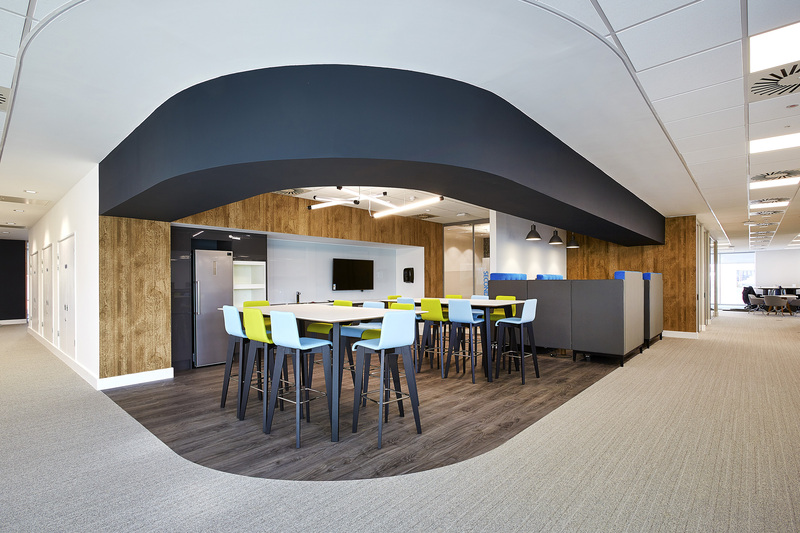 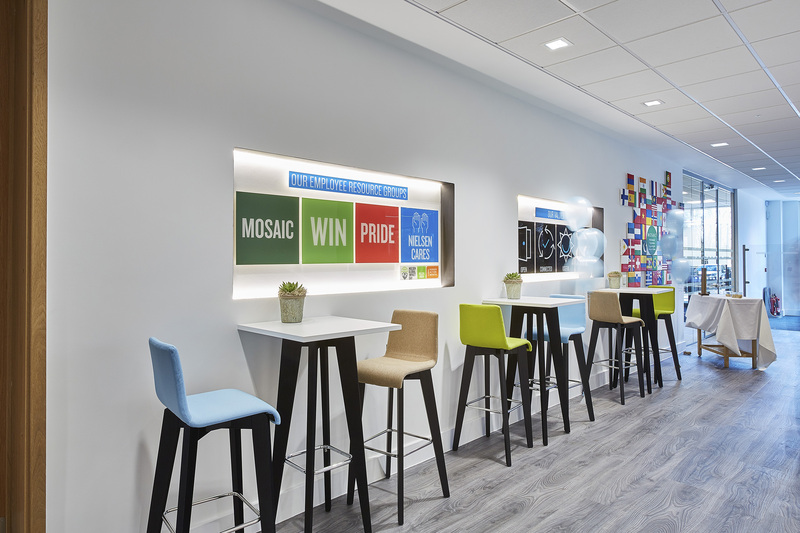 Whilst designed for a single occupier, future flexibility has been considered allowing the building to be split on a floor-by-floor basis to meet varying occupier requirements. 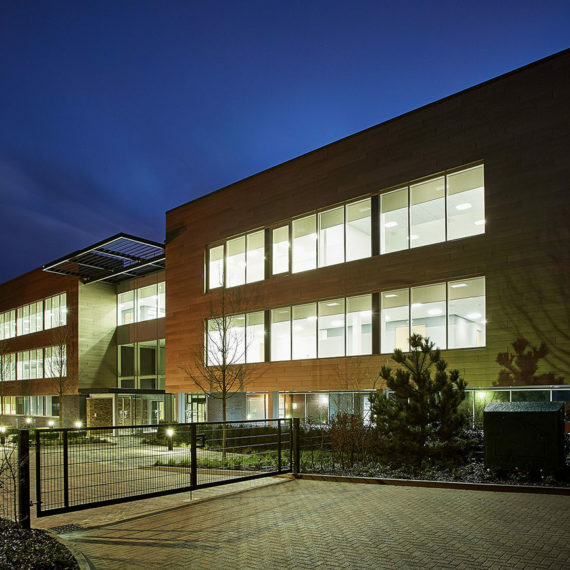 The building form is a simple L-shape with flat roofs giving crisp definition. 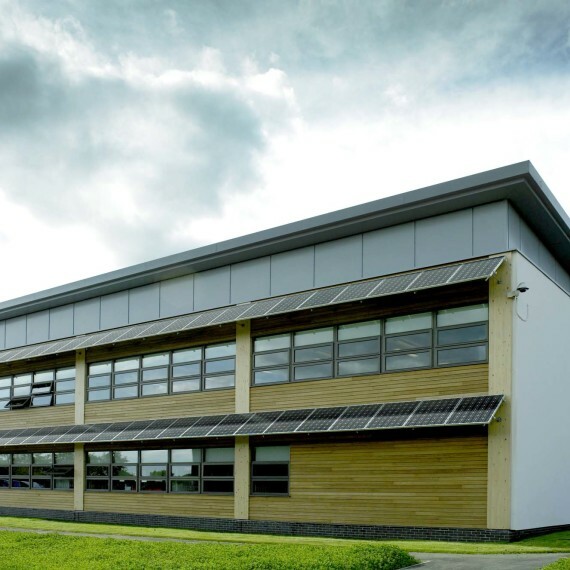 The form creates a building which plays with massing and shadow when viewed from each elevation yet has a continuity of materials which ties the whole together. 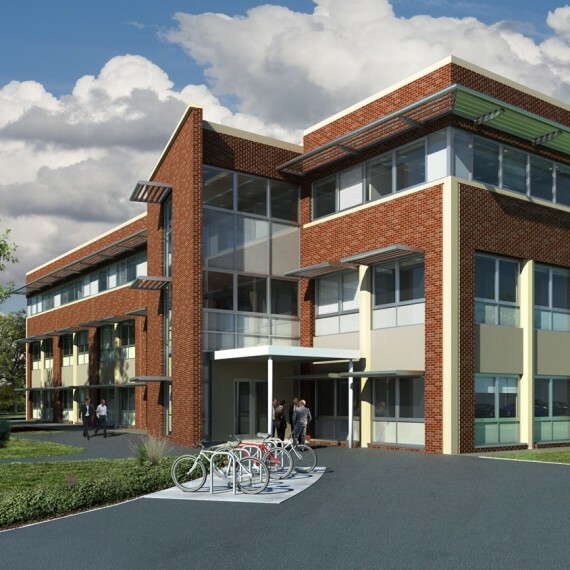 The main body of the office is clad in brick with “punched hole” windows to ensure a durable and robust building, and balance the need to provide daylight and minimize cooling. 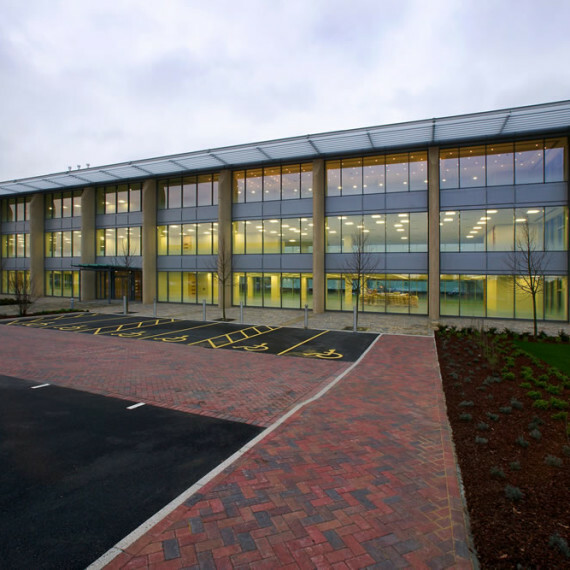 The windows have a random arrangement to provide additional visual interest to the building. 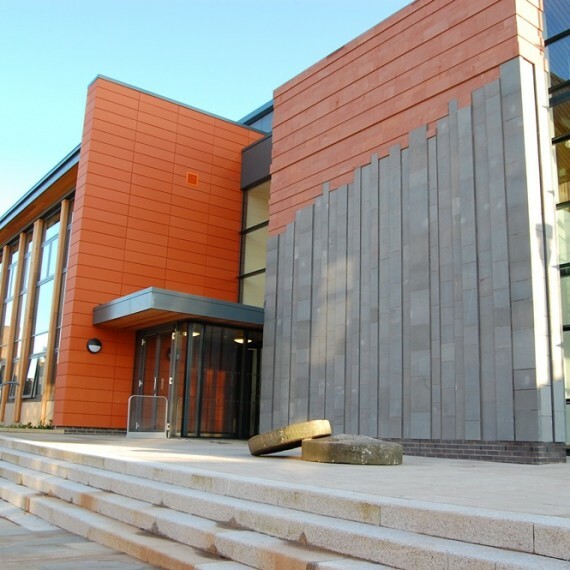 Rainscreen cladding and a change in window form have been used to emphasize both the building entrances. 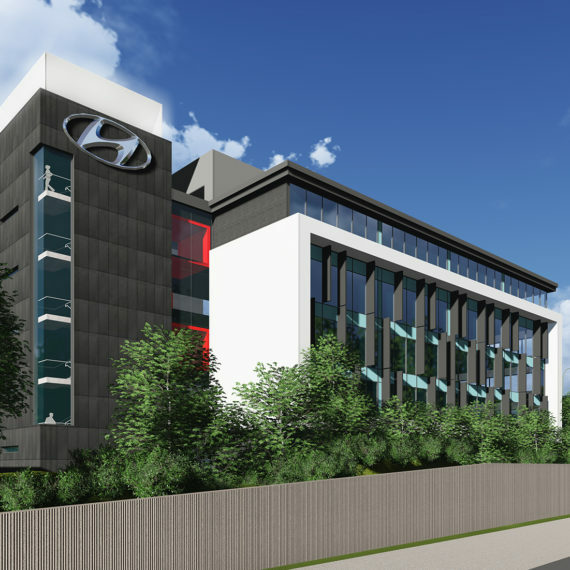 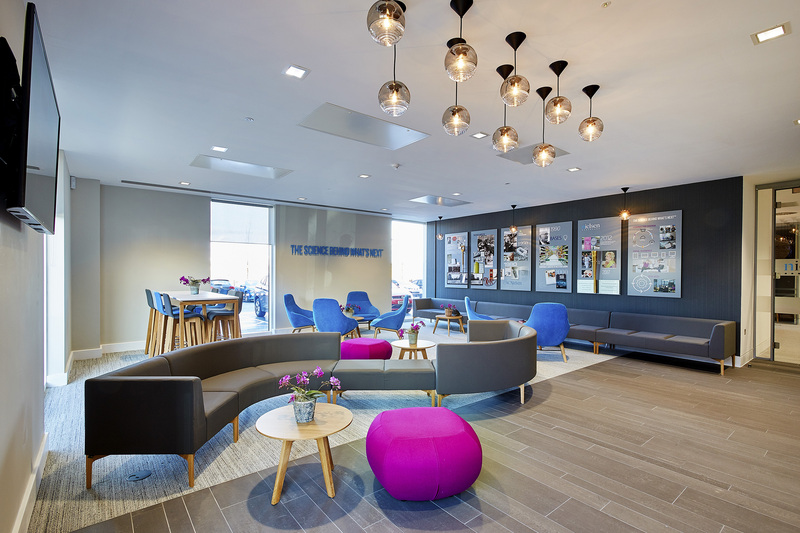 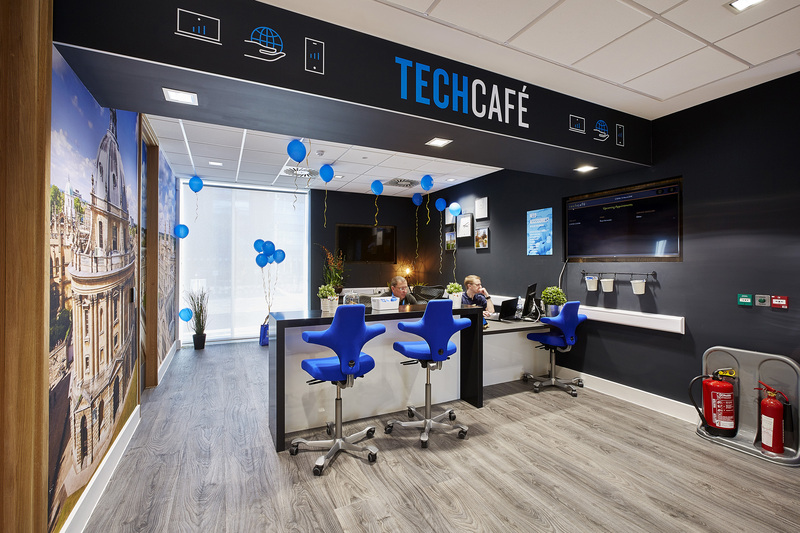 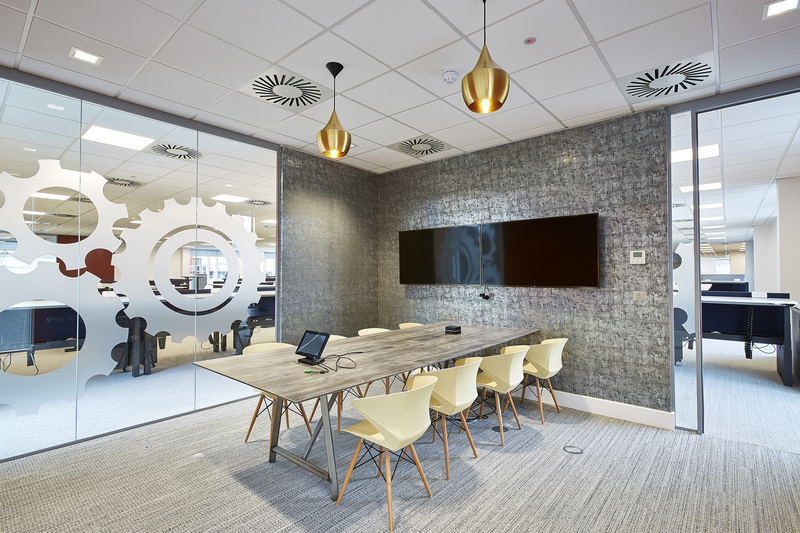 A number of unique features were introduced to suit the occupier’s requirement; these include a dedicated broadcast room, digital conferencing facilities, tech-café, café terrace and electric car charging stations. 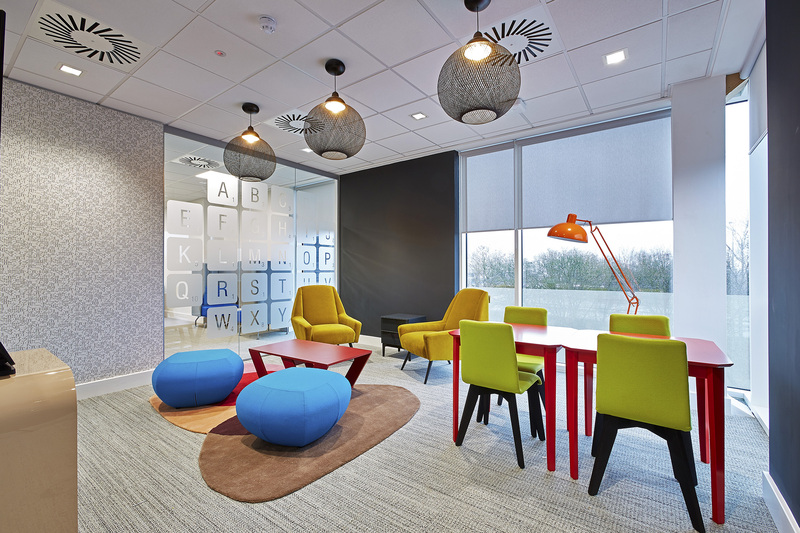 The interior design scheme introduced a number of feature breakout spaces, each designed to be a break from the norm. 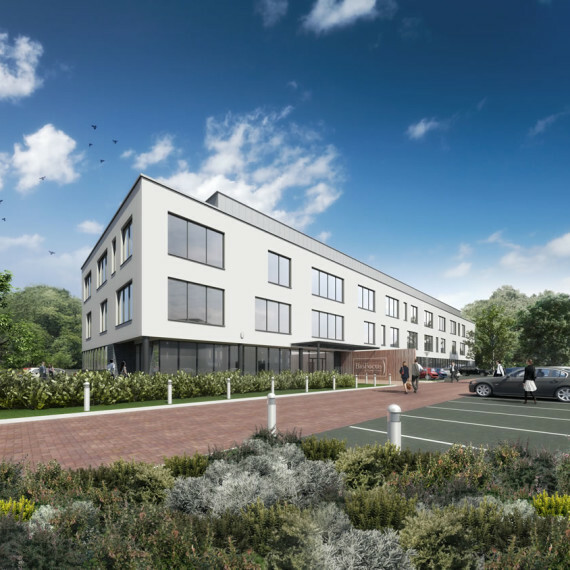 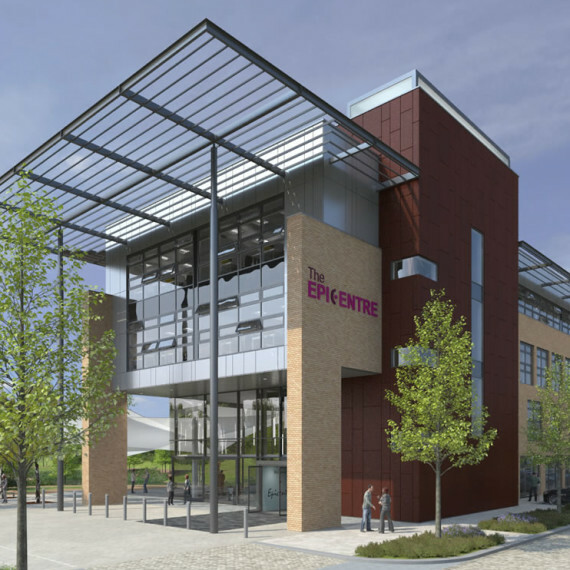 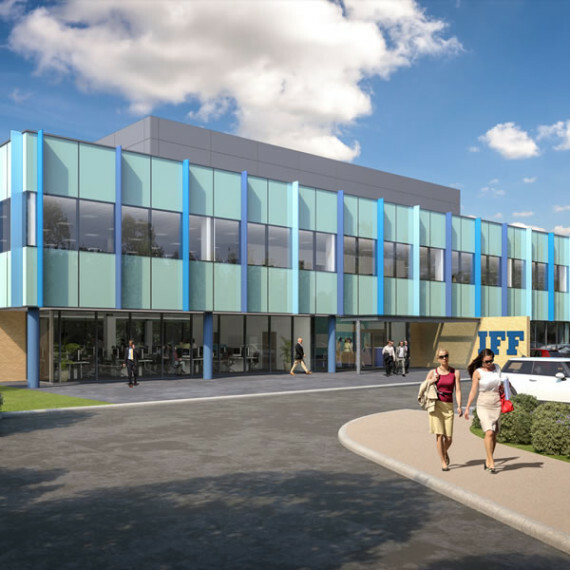 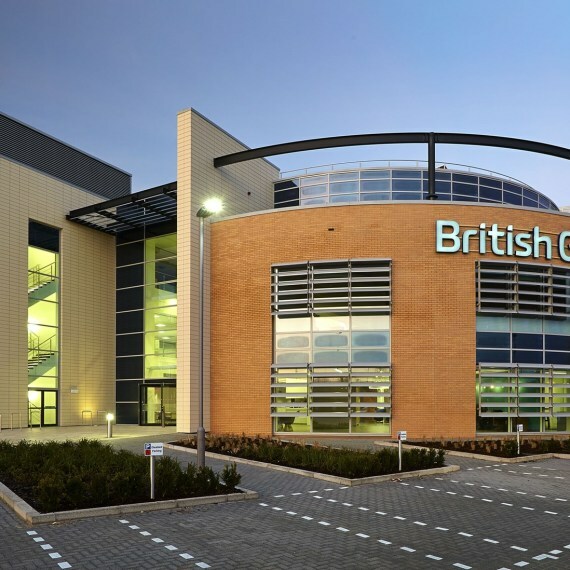 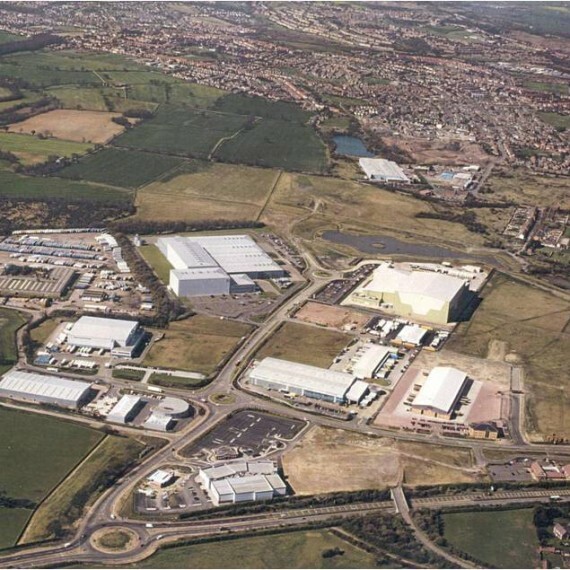 AC Nielsen will be joining other prestigious firms on Oxford Business Park including British Gas Business and Oxfam, all based in offices designed by Frank Shaw Associates for developer, Arlington.